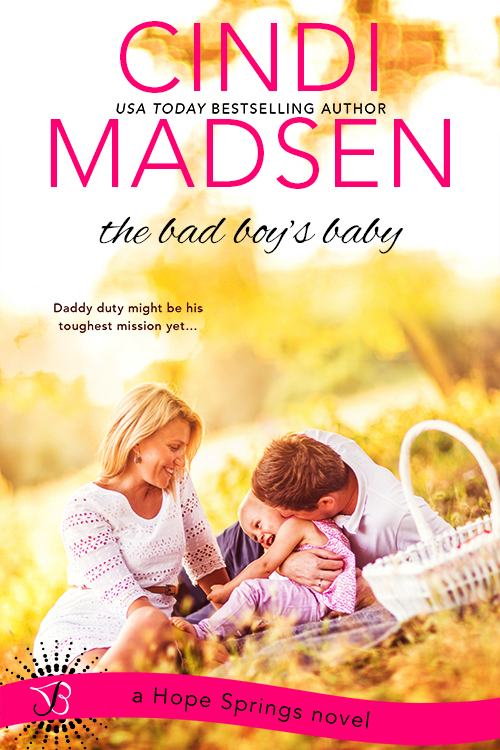 Join us as we celebrate the release of The Bad Boy’s Baby by Cindi Madsen! Be sure to check out all the great promo posts and event giveaways. Don’t forget to pick up your copy today! There are certain words that have always described Cam Brantley: Town bad boy. Soldier. Protector. But never, ever dad. Until he returns home from his latest military tour to discover the girl he had one smoking-hot night with is now mom to the adorable two-year-old Zoey. Who has his eyes. 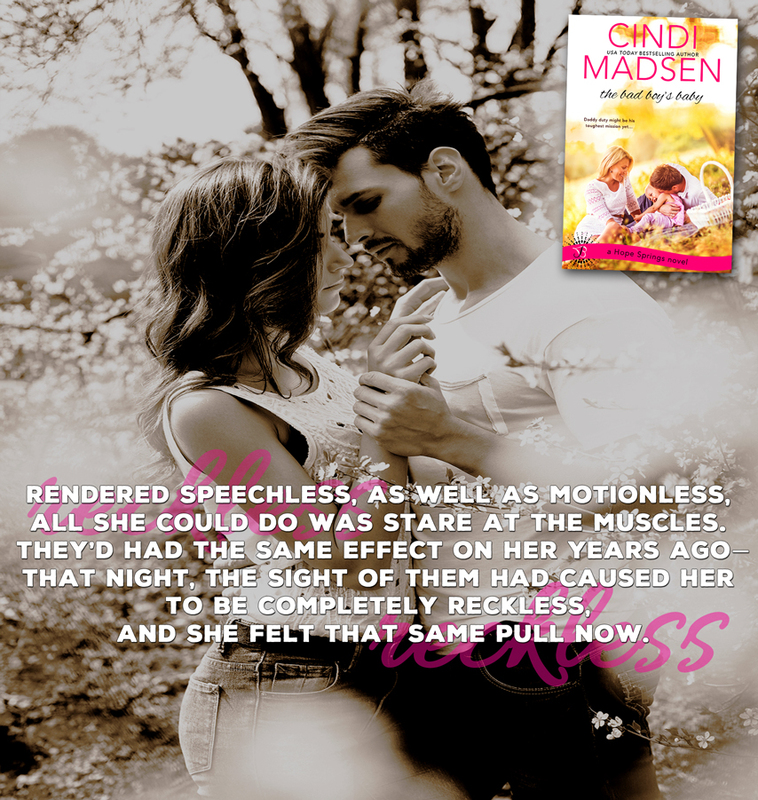 This entry was posted in Book News, Book Release, Book Spotlight, Books and tagged Book news, Book Release, Book Spotlight, Books, Cindi Madsen, The Bad Boy's Baby.